The MLB playoffs are well underway, and with each passing day we’re getting a clearer picture of who might be vying for the top prize come early November. It’s been an exciting round of division series match-ups, with not a single series being decided in a sweep, and until late Monday night all 8 divisional playoff teams were still alive. But with the division series wrapping up, it’s time to turn our attention forward and take a look at which of the remaining teams have the best odds to win the World Series. For some specific sports betting odds, we’ll be referencing betting.betfair.com in the section on sports betting devoted specifically to the MLB, you can find updated fixed odds on each team’s chances to win the World Series. This is a particularly helpful source, because instead of simply placing odds on each individual game or series, the service places a value on each team’s overall chances. So, using these odds, here’s where the 6 remaining teams stack up, as of Wednesday, October 9th. Boston Red Sox – With 2/1 backing odds, the Red Sox are effectively the listed favorite to win the World Series. After closing out the Tampa Bay Rays late Tuesday night at Tropicana Field, the Sox certainly look like arguably the most well-rounded team heading forward, and will have home field advantage in the ALCS. Los Angeles Dodgers – 13/5 odds essentially translate to 2.6/1 odds, putting the Dodgers just a hair behind the Sox. Los Angeles dispatched the Braves with relative ease, winning 3-1, and will have time to set up their rotation exactly as they wish for a series against either the Cardinals or Pirates. St. Louis Cardinals – 5/1 odds are good for a tie for 3rd best, which is interesting given that the Cardinals are facing a must-win game 5 at home on Wednesday night. That said, the Cardinals will be pitting Adam Wainwright against rookie starter Gerrit Cole, so there’s a significant experience edge in starting pitching. Detroit Tigers – 5/1 odds, they’re tied with the Cardinals. 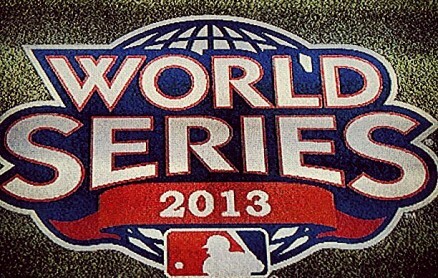 However, Detroit will have to get by the A’s in Oakland in game 5 just to advance to the ALCS. The Tigers will at least have ace Justin Verlander on the mound for the deciding game. Oakland Athletics – 7/1 odds, good for 5th best overall, and though the A’s have to beat Justin Verlander, they’ll get the chance to do so at home, behind Cy Young candidate Bartolo Colon. Game 5 in this series is all but a toss-up. Pittsburgh Pirates – 10/1 odds, the worst of any team remaining. The task of beating the Cardinals in St. Louis behind a talented but inexperienced rookie starter is a very difficult prospect. Those are the odds as they stand now, and for a look at the schedule from here on out, you can visit mlb.com for updated games and series. Stay tuned for updates as the postseason progresses!